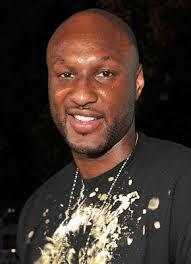 Lamar Odom in rough shape and he is having a tough time with communication and mobility. According to Tmz: we're told it's so bad, he can't recognize some close friends and family. Our sources tell us Lamar has made little progression in the last couple weeks. We're told he's only able to speak a word here and there, and at times he seems "empty." Lamar has been hospitalised since the 13 of October.